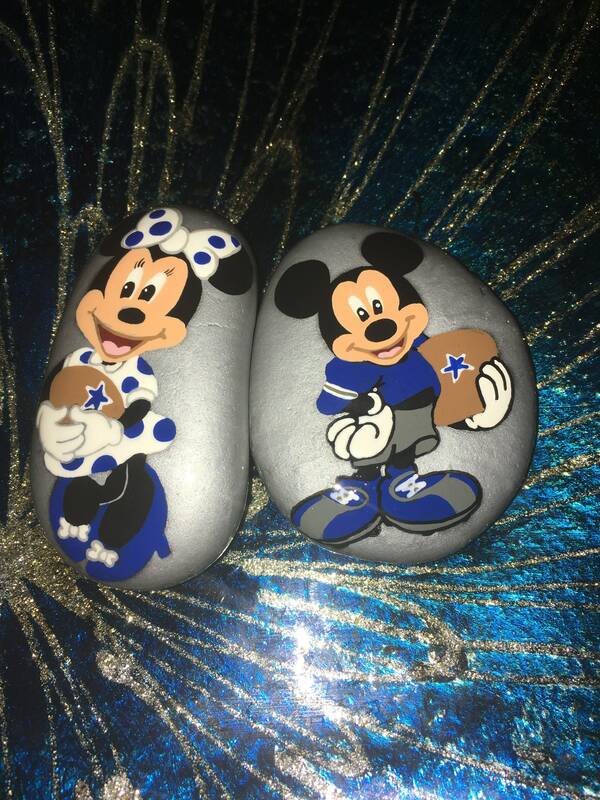 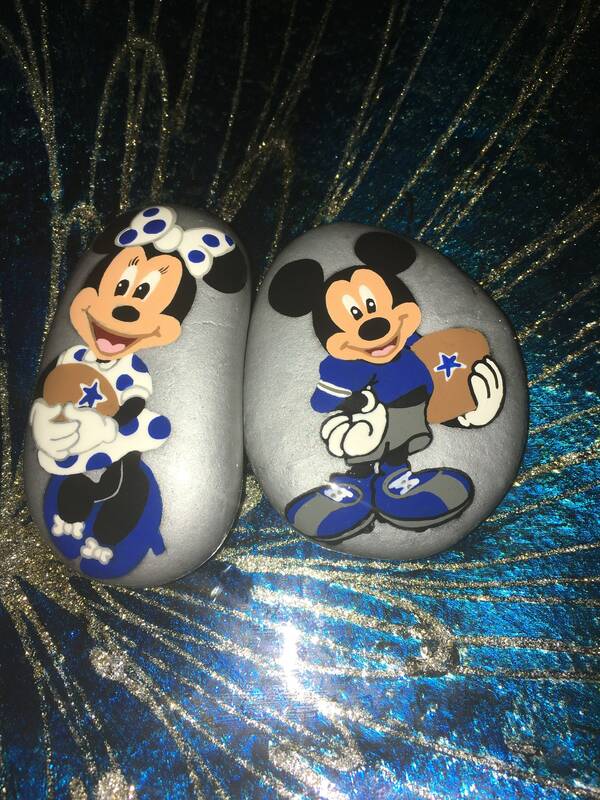 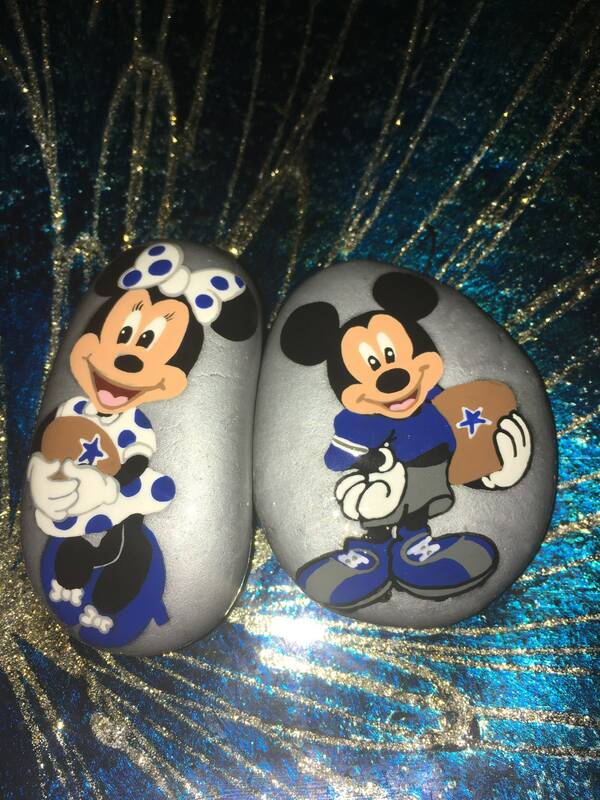 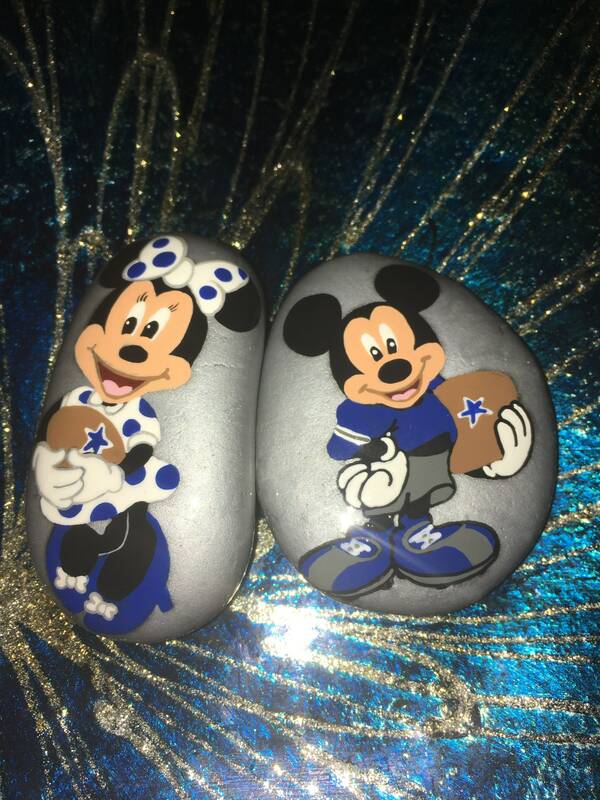 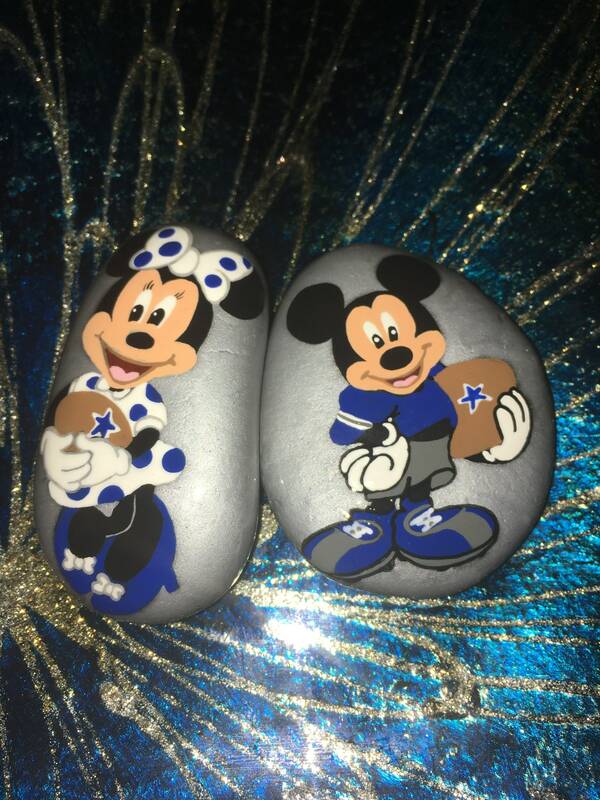 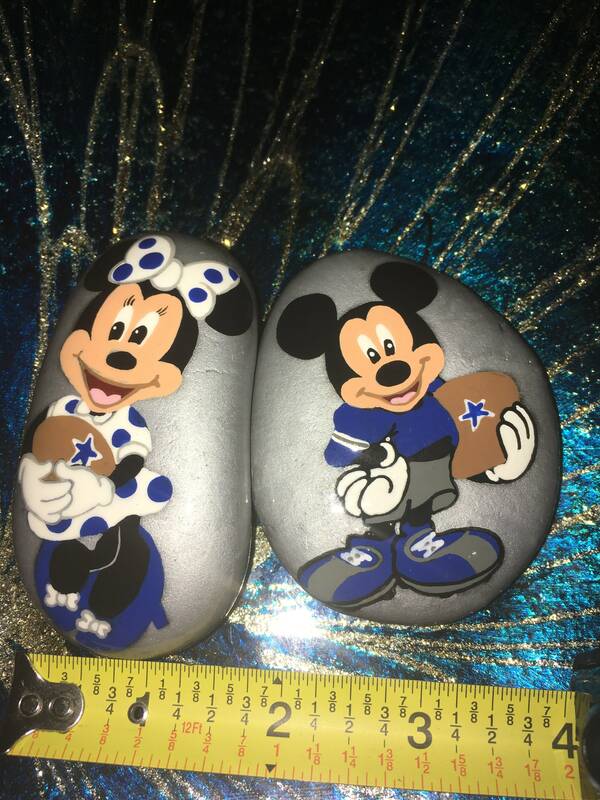 I’d love to make you a special set of Mickey and Minnie dressed in your favorite football teams. 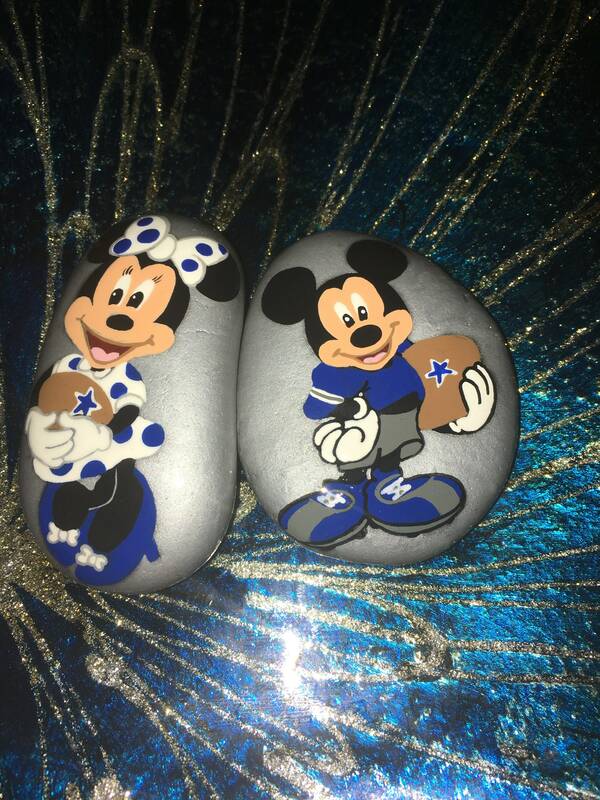 Each football will have the logo and jersey colors. 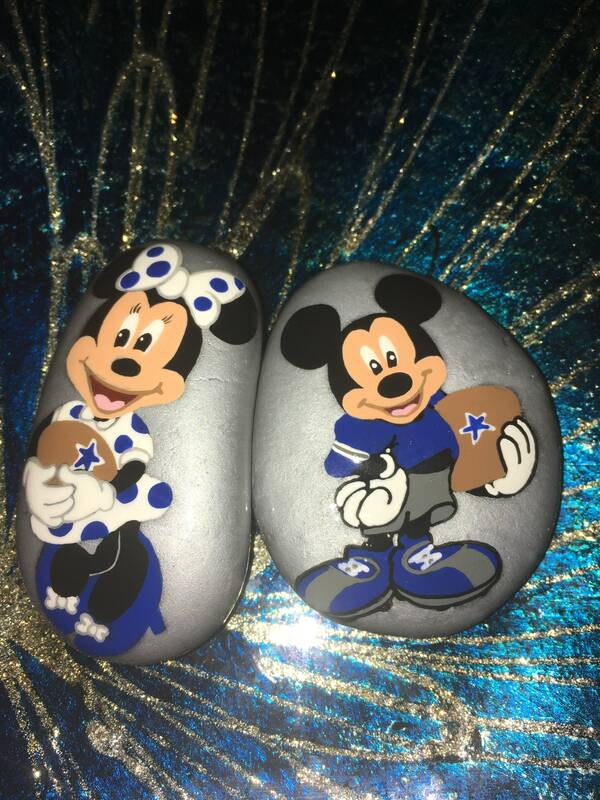 They’ been signed, dated and sealed with resin for all purpose use.